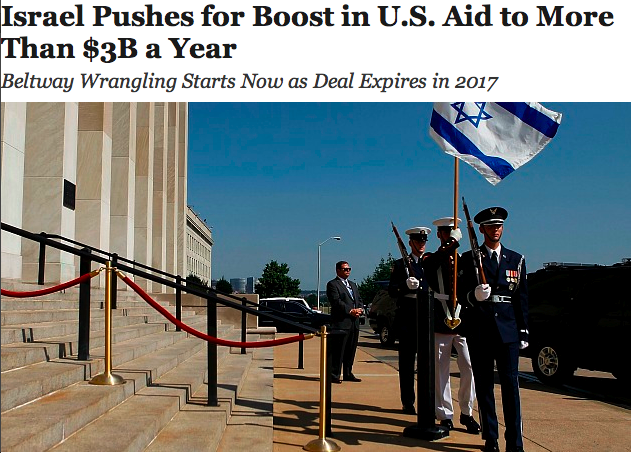 According to Alison Weir’s informative website If Americans Knew, the United States federal government currently gives the usurping Jewish state occupying Palestine $8.5 million in military aid each day, totally over $3 billion annually. The criminal terrorist state of Israel not only receives billions of dollars of U.S. taxpayer money, it’s agents and partisans largely control the United States Congress, White House, and Supreme Court, not to mention the foreign policy making establishment, mass media, Hollywood, and other aspects of American society and culture, including academia. Israel receives unwavering diplomatic and political support from the mass media and political establishment on a bipartisan basis, regardless of her actions or policies. For all intents and purposes, Israel and the organized Jewish community own and control the United States. Former Israeli Prime Minster and major international war criminal Ariel Sharon once infamously remarked: “We, the Jewish people, control America. And the Americans know it.” And he was exactly right, although the majority of Americans are either too ignorant, apathetic, or distracted to comprehend this obvious fact, let alone care about or recognize it’s significance. […] the U.S. economy is still struggling to recover from its worst slump since the Great Depression, forcing the federal government to cut back on all government expenses, and raising new doubts about the affordability of a robust foreign aid program. I’ve often said that Israel and the organized Jewish community are no longer operating in the shadows, behind the scenes so to speak – they are operating in your face, arrogantly demonstrating and wielding their power and control over the United States government, media, banking and financial institutions, and other important sectors of American society in a blatantly obvious manner. It’s no secret the Jews are running the show in America, which they themselves admit and boast about. I suppose this has always been the case, to a certain extent, as organized Jewry has long been a major player in American politics, finance, and media ownership. However, Jewish power and influence is so prevalent today, it can no longer be ignored, dismissed, or downplayed, and the Jews have programmed and brainwashed so many millions of people that all of this is actually a good development for America. The Jewish media and the perverted form of Christianity known as “Christian Zionism” have convinced most Americans that giving Israel billions of dollars in military and financial aid is actually a good thing, despite the fact that the very country in which they live is literally falling apart, not to mention that the terrorist state of Israel has attacked America on numerous occasions, including on 9/11.